Can I Upgrade My Car Stereo? 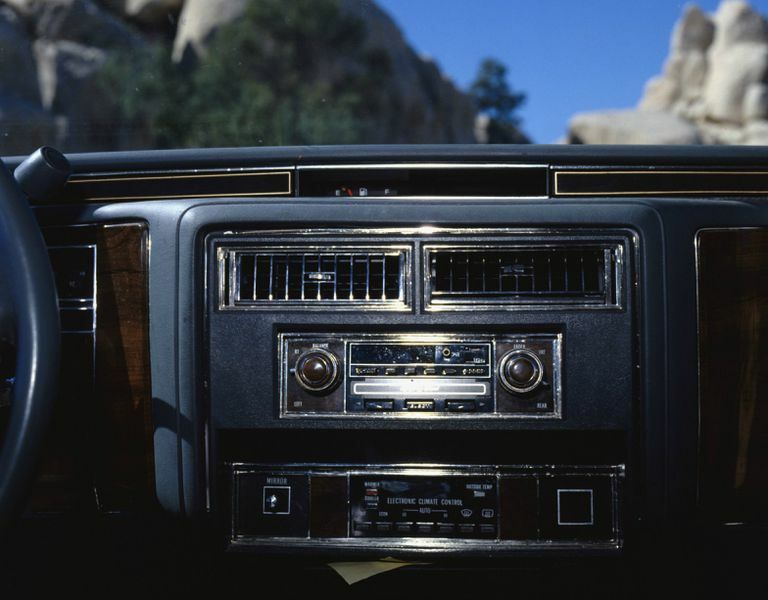 You can upgrade your car stereo, but should you? Upgrading a car stereo doesn't have to be difficult, but there are a lot of factors to consider. Whether you want to wake up the whole neighborhood with pounding bass, or just plug an iPod in without fiddling around with adapters, there are plenty of reasons to upgrade a car stereo. Most cars and trucks ship with extremely anemic sound systems, but that problem is actually pretty easy to fix. There are some cars that pose more of a problem than others, but it's always possible to perform some type of car stereo upgrade, and it doesn't have to end there. Upgrading a car audio system can involve the replacement of just about every component, right down to the wires, and a lot of it can be done with relatively little technical expertise. The single most important component in any car stereo system is the head unit, which is a technical term for the component most people know as the car radio or car stereo. It's the box in the dash that you use to switch radio stations, change inputs, adjust the volume, and everything else. Head units are also called tuners, receivers, and decks, and most of them go a whole lot further than just a basic radio. You can find head units that include CD and MP3 players, DVD and Blu-Ray players, inputs for phones, iPods, other MP3 players, Bluetooth connectivity, and many other features. If you’re wondering about the best place to start upgrading your car stereo system, the head unit is usually going to be the answer you’re looking for. Each component in a car stereo system is somewhat dependent on the others, but the head unit is where it all starts. Since most factory head units are light on the features, plugging in an aftermarket unit can really improve your overall driving experience. There are a lot of great car stereos available, and some of them are even pretty affordable. When choosing a head unit, you should look for all the features you currently need or expect to need within the next few years. For instance, if you make a lot of phone calls in your car, then you should consider selecting a head unit that has Bluetooth connectivity for hands-free calling. In the same vein, you might want to consider installing a head unit that’s a little more powerful than you actually need. In that case, you’ll be able to upgrade your stereo system in the future without the added expense of buying another head unit. The other main components of a car stereo system are the speakers. Not all factory sound systems ship with a separate amp, but they do all come with at least four speakers. While you can upgrade speakers without installing a new head unit, you’ll probably be disappointed with the sound quality. Unless your vehicle came with a premium head unit, it probably won’t be able to properly take advantage of upgraded speakers. On the other hand, installing better speakers can provide you with more room to upgrade the other components in the future. Even if your current head unit can’t take full advantage of the situation, you’ll have the option to put in a better head unit or an amplifier in the future. If you want to squeeze the most out of a factory head unit, you should focus on the high and low ends of the audio spectrum. This isn’t feasible in every case, but some vehicles do ship with separate tweeters. These speakers are typically located in the front doors along with the mid-range speakers, and they’re often low-grade. If that’s the case, then one of the most cost effective upgrades you can do is pop in a couple replacement tweeters. On the other end of the audio spectrum, you can get a lot of mileage out of upgrading or installing a subwoofer. Most vehicles don’t come with subwoofers, but the ones that do are usually pretty anemic. If your car or truck didn’t come with a subwoofer already installed, the easiest option is to look for a subwoofer that includes a built-in amp. There are ways to install a subwoofer without upgrading the car stereo, but you'll get better results if you do both at the same time. Depending on the make and model of your vehicle, you may have other options available to you. Some vehicles have premium sound options, in which case you might be able to get your hands on a factory deck that will plug right in and match the OEM look of your car and truck. Other vehicles have navigation options that replace the standard head unit. In that case, your car or truck might already have all of the necessary connections to plug that type of unit in. If your vehicle came from the factory with an advanced infotainment system, your choices might be somewhat limited. Replacing an infotainment head units without losing other features, like steering wheel audio controls, can be a complicated process, and there are also fit issues where some factory radios are shaped strangely. There are a number of aftermarket solutions that include infotainment features like media playback and GPS navigation, and you can even find mounting brackets to get around fit issues, but aftermarket car stereos like those are typically quite expensive. What's the Difference Between a Head Unit and a Receiver?